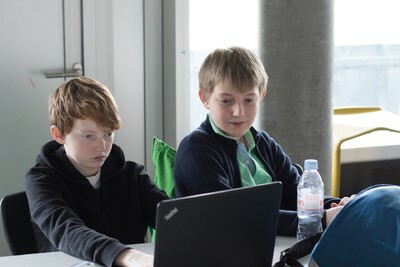 The Swiss Young Naturalists' Tournament (SYNT) is a Swiss competition held in English, where science enthusiasts aged 12 to 16 from anywhere in Switzerland can participate. In a preparatory phase they carry out a small research project, whose results are presented and defended at the actual tournament. The International Young Naturalists' Tournament (IYNT) is the international counterpart of the national competition. Teams from all over the world compete against each other and a diverse social program promotes social contact of members from different teams. 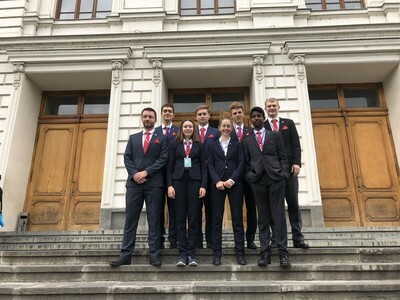 Pro IYPT-CH is the organization that organizes not only the national tournament SYNT and the SYNT Workshop but also the preparation for both the SYNT as well as the IYNT and the qualification for the Swiss team. 56 students competed at the SYNT 2019. We congratulate all students for their excellent work. Big congratulations go out to the winners Jade Klee and Henry Ledan from the team The Lab Rats. On the 2nd of March SYNT 2019 will take place at ETH Zurich (Rämistrasse 101, 8092 Zürich). We are very excited for the third SYNT and look forward to seeing the students work. The SYNT 2019 will take place at ETH Zurich on the 2nd of March, 2019. To aid students in their preparation we are organizing a three-day preparatory Workshop. During this Science Workshop students work on their chosen problem while being supervised by SYNT-experienced coaches. The SYNT Science Workshop will take place in the week of the 13th to 15th of February at the Kantonsschule Wettingen. Problems 1, 3, 4, 5, 6, 7, 10, 11, 13, 15, 16 and 17 will be coached at the Science Workshop. Changes in the problems offered might occur until the start of the registration. Online registration will open in October. Students can either sign up as an individual or already in a team of two. When signing up as a team please note that each team must have a solution to two different SYNT-problems. Registration for the SYNT and Science Workshop will open on our website until the 9th of Decemeber. This week we managed what we just narrowly missed last year: winning the IYNT trophy! Preparation for this year’s IYNT started somewhat early, but definitely kicked off fully after the SYNT in March. In the last months, Ester, Lilly, Lohitsai, Lucas, Michael and Samuel worked hard. Investigating the process of making quark, playing tunes on bottles, investigating properties of granular materials and many other interesting problems. On July 3rd it was finally time to fly to Tbilisi, Georgia, to test, how well prepared we were. This year we were going to meet 15 teams from 9 countries. 58 students competed at the SYNT 2018. We congratulate all students for their excellent work. Big congratulations go out to the winners Esther Thomet and Lucas Frauenlob from the team Quarkum Mechanics. In addition to winning the SYNT 2018, Esther Thomet also won the individual ranking. The Science Workshop 2018 started on the 13th of February. Early in the morning 40 students made their way to Zurich International School. After welcoming all the students, it was time to start working on the chosen problems. While some students had already started working on their problem prior to the Workshop and were ready to start further experimentation, others were new to the problems and had to research their problem statement further before being able to conduct experiments. By the afternoon everyone was working eagerly.